The proposed new capital of Egypt is a large-scale project announced by then Egyptian housing minister Mostafa Madbouly at the Egypt Economic Development Conference on 13 March 2015. 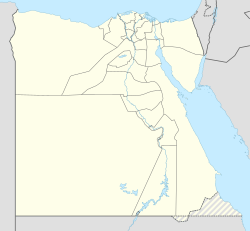 The new, yet-unnamed, city is to be located 45 kilometers (28 miles) east of Cairo and just outside the Second Greater Cairo Ring Road, in a currently largely undeveloped area halfway to the seaport city of Suez. According to the plans, the city would become the new administrative and financial capital of Egypt, housing the main government departments and ministries, as well as foreign embassies. On 700 square kilometres (270 sq mi) total area, it would have a population of five million people, though it is estimated that the figure could rise to seven million. Officially, a major reason for the undertaking of the project was to relieve congestion in Cairo, which is already one of the world's most crowded cities, with the population of greater Cairo expected to double in the next few decades. Cairo, for comparison, has a population of nearly 20 million. The city is planned to consist of 21 residential districts and 25 "dedicated districts". Its downtown is to have skyscrapers and a tall monument said to resemble the Eiffel Tower and Washington Monument. The city will also have a park double the size of New York City's Central Park, artificial lakes, about 2,000 educational institutions, a technology and innovation park, 663 hospitals and clinics, 1,250 mosques and churches, 40,000 hotel rooms, a major theme park four times the size of Disneyland, 90 square kilometers of solar energy farms, an electric railway link with Cairo and a new international airport at the site of the Egyptian Air Force's existing Wadi al Jandali Airport. It will be built as a smart city. It is planned that the transfer of parliament, presidential palaces, government ministries and foreign embassies will be completed between 2020 and 2022, at a cost of US $45 billion. A full cost and timescale for the overall project has not been disclosed. Feedback on former experiences of capital relocation was looked at, for instance by meeting with representatives from Astana, which replaced Almaty as the capital city of Kazakhstan in 1997. The first government officials are expected to move into their new offices in 2019. Speaking prior to the official announcement, Egypt's investment minister Ashraf Salman had already mentioned the possibility of a new capital being "developed, master-planned and executed by a private sector company", at no cost to the Egyptian treasury. It was revealed that the city will be built by Capital City Partners, a private real estate investment firm led by Emirati businessman Mohamed Alabbar. When the project was officially announced in March 2015, it was revealed that the Egyptian military had already begun building a road from Cairo to the site of the future capital. In September 2015, Egypt cancelled the Memorandum of understanding (MoU) signed with the UAE’s Mohamed Alabbar during the March economic summit, since they did not make any progress with the proposed plans. In the same month Egypt signed a new MoU with China State Construction Engineering Corporation (CSCEC) to “study building and financing” the administrative part of the new capital, which will include ministries, government agencies and the president’s office. China Fortune Land Development and CSCEC signed agreements with Egyptian authorities in early 2016 and in 2017 and 2018 to develop parts of the project. According to an Egyptian newspaper,[which?] Egyptian construction company Arab Contractors (in Arabic El-Mokawloon El-Arab) was called for constructing the water supply and sewage lines to the proposed new capital. The company stated that the studies needed were done in August[when?] and it is supposed that the project will take 3 months to supply the city with the main services needed in order to prepare it for the construction work. In January 2019, President Abdel Fattah al-Sisi inaugurated Egypt and Middle East's largest cathedral called "The Nativity of Christ" in the New Administrative Capital (NAC) and a mega-mosque only second in size to Great Mosque of Mecca in Saudi Arabia. ^ "Egypt plans new capital adjacent to Cairo". Al Jazeera. 14 March 2015. Retrieved 14 March 2015. ^ a b "Egypt to build new administrative and business capital". BBC News. 13 March 2015. ^ a b Walker, Brian (16 March 2015). "Egypt unveils plan to build glitzy new capital". CNN. Retrieved 16 October 2016. ^ a b "New capital to cut Cairo overcrowding - The National". ^ "So why is Egypt building a new capital city right next to Cairo?". CityMetric. New Statesman. 19 March 2015. Retrieved 16 October 2016. ^ Kingsley, Patrick (16 March 2015). "A new New Cairo: Egypt plans £30bn purpose-built capital in desert" – via The Guardian. ^ "Thinking big". 21 March 2015 – via The Economist. ^ "Egypt Unveils Plan for Dubai-Style Desert Capital - VICE News". ^ "First Glimpse At Egypt's New Capital City". 13 March 2015. ^ Jennings, Gareth (21 September 2014). "US reaffirms Apache delivery to Egypt". Jane's Defence Weekly. Retrieved 14 March 2015. ^ "Wadi Al Jandali Airport code and information". ^ a b "Egyptian government reveals plans to build new capital city east of Cairo". ABC News. 14 March 2015. ^ a b "Egypt Announces Plans to Build New Capital". Associated Press. 13 March 2015 – via The New York Times. ^ (Russian) Egypt takes over the experience of Astana for transferring capital, Zakon.kz, 14 March 2016. ^ "Egypt announces plans for new capital city amid signals of renewed Gulf ties". Jerusalem Post. 1 March 2015. ^ "Egypt cancels MoU with UAE's AlAbbar to develop administrative capital". 7 September 2015. ^ "Egypt signs deal with China Construction to build, finance, part of..."
^ "Chinese project to build new Egyptian capital revived". The Nikkei. May 26, 2017. ^ "Construction of Egypt's New Capital City Kicks Off". Egyptian Streets. April 2, 2016. ^ "Egypt's construction sector offers rewards but risks also high". The National. July 22, 2017. ^ "Chinese firm finalizes deal for building huge business district in Egypt's new capital". People's Daily. October 12, 2017. Retrieved January 14, 2018. ^ "Egypt's prime minister breaks ground on new capital's $3 billion business district". Al-Ahram. 19 Mar 2018. Retrieved 2018-03-25. ^ "Egypt's Sisi opens mega-mosque and Middle East's largest cathedral in New Capital". Reuters. 6 January 2019. ^ "Egypt opens Middle East's biggest cathedral". BBC News. 7 January 2019. This page was last edited on 23 February 2019, at 11:12 (UTC).